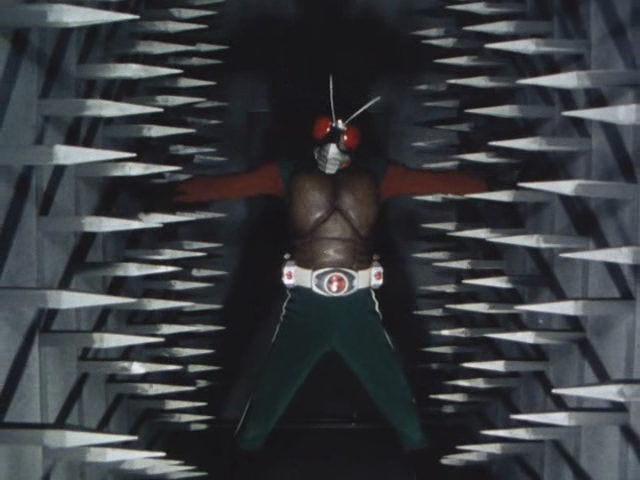 KITsubs: Kamen Rider Skyrider Episode 13! What good action series would be complete without a bomb defusing episode? This episode is pretty tense, even if you know that everything is going to turn out all right in the end. And the monster is particularly interesting. He's supposed to be an antlion, but I think he looks more like... a bat with lobster claws. For the next couple of episodes you'll notice a trend in the naming of the monsters. The Japanese names, anyway. This week's monster is AntlionMan, and just like the name says, he's an antlion. His Japanese name is "ArijigokuJin." Jigoku is Japanese for "Hell," meaning that antlions have a pun built right into their name! They're named this way because, well, they're scary looking. "Arijigoku" is a term that can be used to describe fear, specifically fear of an impending doom, in Japanese. So they must be PRETTY terrified of these guys. I don't think he's so bad... personally, I think he looks like Lou Bega. All he wants is to mambo, at least 5 times. The next episode features a monster based on a venus flytrap, and his Japanese name is "Haejigokujin." Notice the pattern, here? It only lasts for two episodes, but it's worth noting. Personally, if I saw an antlion I wouldn't think much of it. But a venus flytrap really does look like hell itself started growing into our mortal plane. Yikes! Thanks for humoring my rambling. 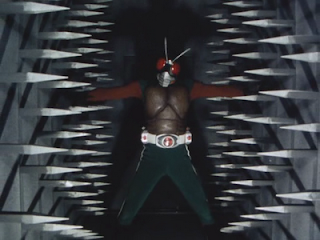 Next week is more Skyrider, along with more Net Movies, Hibiki, and those Super-1 v2s. And don't think we're done with Rider 2. We're working on something special, in regards to that! You're gonna do V2's of Super-1 too? Does that mean you're gonna continue the series after all? Amazon has already been subbed by Hi No Tori. X was being worked on by Order of Zeronos, but they seem to have dropped it after 6 episodes. Stronger is being worked on by Midnight Crew Subs. 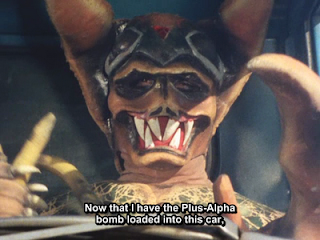 We plan on continuing Super-1, once we finish Skyrider, or once we get through more than half of Rider 1. Whichever comes first. Awesome! Thanks for replying. I'll look forward to it.